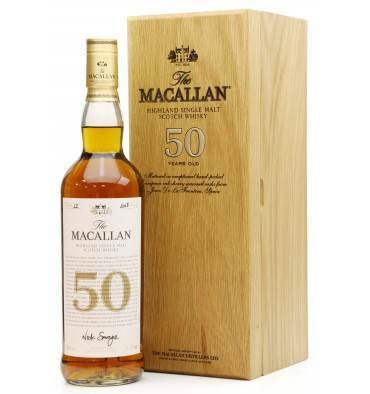 The Macallan 50-year-old exemplifies the unrivalled commitment to the mastery wood & spirit for which the Macallan has been known since it was established in 1824. 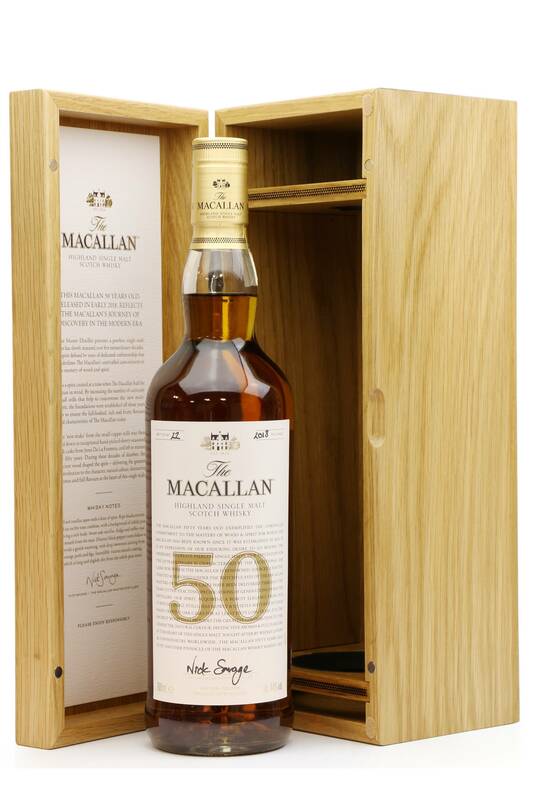 It is an expression of their enduring desire to go beyond the ordinary to create peerless single malts. 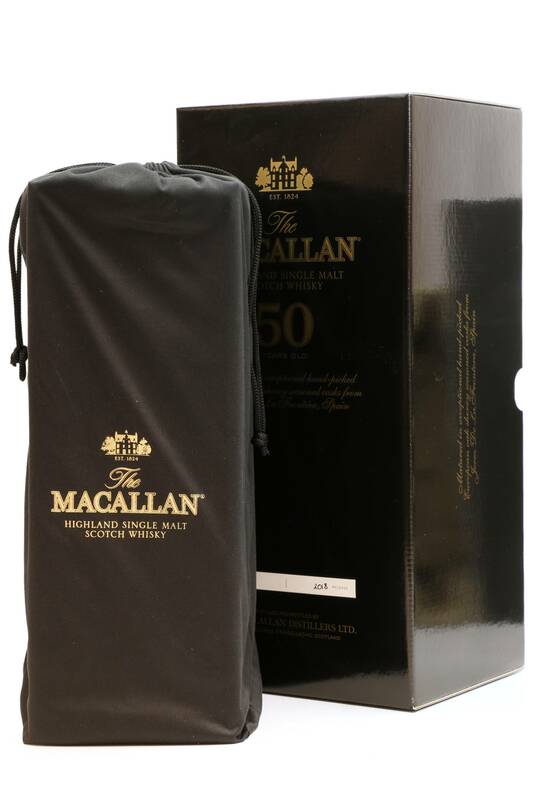 Their reputation for the extraordinary is characterised by the exceptional oak casks for which The Macallan is renowned. 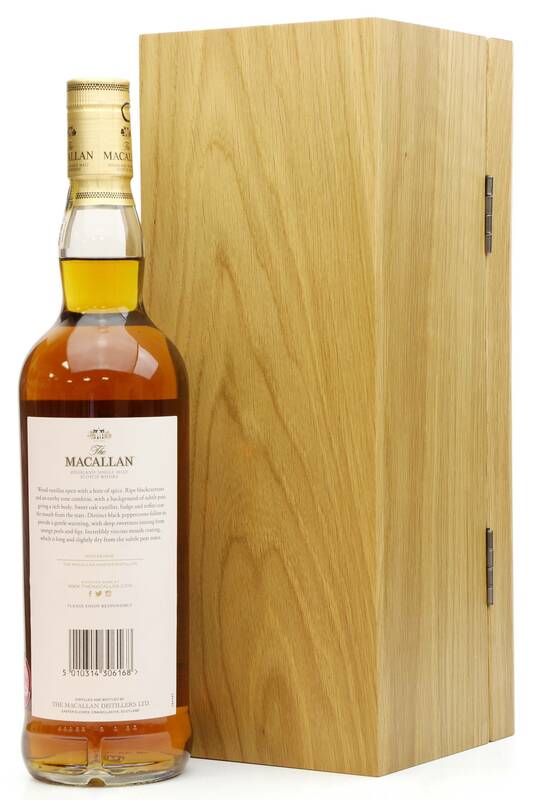 Sourced, crafted, toasted & seasoned under the watchful eyes of The Macallan Masters of wood, their casks have been delivered through the years to the exacting specifications of generations of Master Distillers.The spirit, acquiring a robust elegance from the distilleries curiously small stills, has slowly & quietly matured in these hand-crafted oak casks for at least half a century. 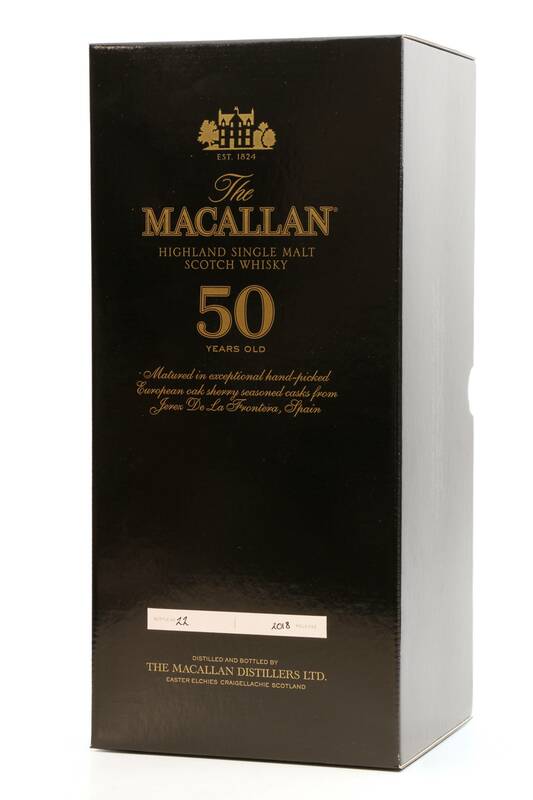 It is the character, natural colour, distinctive aromas & full flavours at the heart of this single malt. 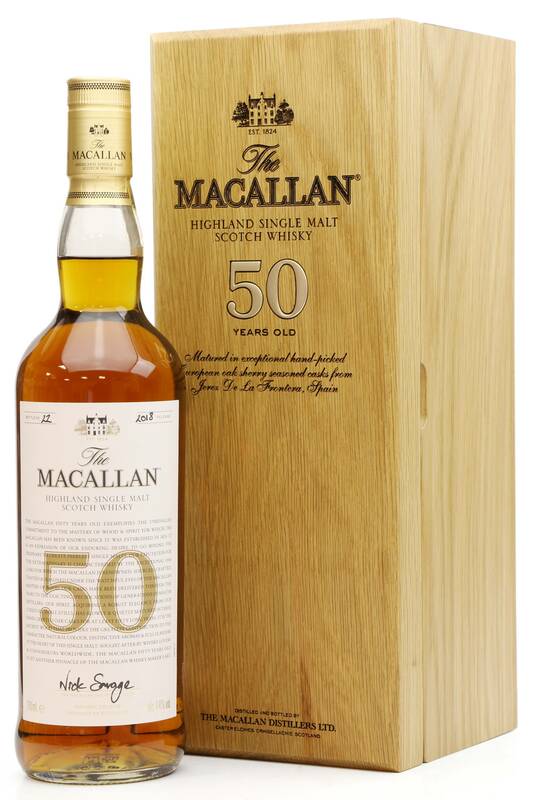 Sought after by whisky lovers & connoisseurs worldwide, The Macallan 50-year-old is yet another pinnacle of The Macallan whisky maker's art. Released in early 2018 with only 200 individually numbered bottles worldwide.